There is nothing better than a mother’s love…unless, perhaps, someone finds a way to preserve that love in pictures. 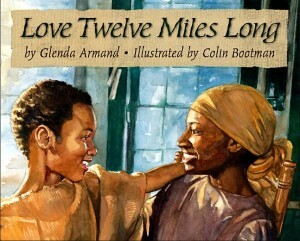 Lee and Low Books has found a way, and they did it with author Glenda Armand’s 2011 picture book, Love Twelve Miles Long. 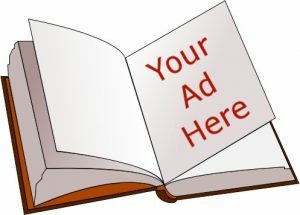 This lovely book won the 2011 Lee and Low’s New Voices Award, and once you read it, you’ll know why. The chocolate-colored cover captures the love between a mother and her child in its purest form, drawing readers into the story before it even begins. Armand’s sweet prose is short and fluff-free, yet it flows with a quiet beauty that matches the other illustrations and leaves readers aching to know more about Frederick and his irrepressible Mama.